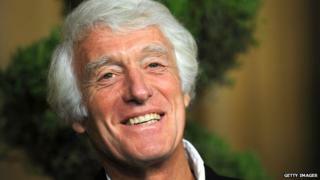 Roger Deakins is the director of photography on films such as The Shawshank Redemption, A Beautiful Mind, No Country for Old Men, True Grit and Skyfall, the most successful British film ever. He's won more than 60 awards for his work, including three Baftas, and was last year presented with a lifetime achievement award by the American Society of Cinematographers. When he isn't working, he spends his time living in LA, but his heart belongs to Devon, where he was born. "I miss it every day," he says. Here are his top ten tips for becoming a successful cinematographer. A cinematographer visualises the film and is a director's right hand on set. I studied photography and then went to the National Film School in England and got into the business that way, but there are all kinds of ways of getting in. I think it is more important to experience the world, really. You can't learn cinematography and you can't copy it. The job is just your way of looking at the world. Maybe that sounds a bit pretentious, but I think life experience is always more important than technical knowledge. I'm picky about the sort of material I want to work with, always have been. But usually I'm drawn to scripts that are about characters, I don't have a love of doing action movies. It is really important to choose which projects you are going to work on carefully. You are going to be on a film for a long time. I've just come back from Australia working on Unbroken with Angelina Jolie, which she was directing. It's six months of time and investment, but very worthwhile. I enjoyed it completely, but it was a hard shoot. You work long hours, often you're working six days a week and you are away from home. There are certain kinds of sacrifices you have to make. My relationship with the Coen brothers goes back a long time. We just sort of hit it off and we're good friends, so I'd do anything with them. I loved working Sam Mendes on Skyfall, I probably wouldn't have done a Bond movie with anybody else. He had a different take on it and I think that film was far more character driven and that's what drew me to it. I turned down working on the next Bond film. I was really torn. I would have loved to work with Sam again but I just didn't feel I could bring anything really new to it. I'd really like to see someone else have the opportunity. My wife James travels with me when I'm working on a film. We've been married for over 20 years and she has been incredibly important to my career. We always talk about what projects are coming up and make the decisions together. We like the same kind of movies, we rarely disagree, we just talk things through. Deciding which projects to work on is something that you spend quite a long time considering. I'm very lucky to be in a position that means I can be a bit choosy these days. Image caption Deakins' wife James Ellis is a script supervisor. They attended the 2014 Oscars, where he was nominated for his work on Prisoners, together. It's no use just thinking you can just learn how to light and copy the best. We all find our own ways of doing things and our own sense of lens choice, composition and the way you move the camera. You can tell one person's work from another quite often, you know. So I think it's important to develop as a person. You have to develop your way of being. Otherwise, what are you doing? It's no good just copying, learning a technique and doing it. That's not very interesting, apart from anything else. I remember a fellow cinematographer talking about Shawshank and saying, "Well that was really nicely shot but there was no lighting in it." We actually shot most of the film in a prison that was absolutely black - I used a huge amount of light to create the look, more or less every shot, even some of the exteriors were lit! So it was a reverse compliment really, because there was a major cinematographer thinking it was shot with natural light when it wasn't! So, on the one hand, you need to light a space so you can see the actors - but, more than that, you are creating a mood, you are creating a world for those actors to inhabit and for the audience to get submersed in. Lighting is one of the most important aspects of any great film. When you are on a film, because it takes so much time and you are often doing a 12, 14, 16 or even 18-hour day, you're often tired and so sometimes the temptation can be to do something a bit quick and cut corners, but then you regret it. Any time that you do something and think, "Oh well, that will be alright even if it's not as good as I can do," you always regret it later. If anything stands out as being untrue within the terms of that movie, then the audience's experience of that world is jolted, they are taken out of it. What you do lives on forever, as they say. It's important to persevere, because it's the people who persevere who go on to create something unique. You have to keep up with new technology, it all changes rapidly. Film stocks change, techniques like steadycam come along, we've got cranes now and aerial helicopters that can do all sorts of things and gyromounts so you can move the camera in all sorts of ways. We have digital technology now and 3D has come back. Technology is changing all the time, but for me nothing has changed in the sense that you are still telling stories by the use of light, the use of a frame, the way you move a camera. I'm still hoping to be part of telling stories about people and the way we are. So, to me, technology is important, but it's only in the background, it's a means to an end, it's like the paintbrush. Image caption Deakins has worked with the Coen brothers on 11 of their films. This picture, of Deakins with Ethan Coen, was taken at a screening for their most recent collaboration. True Grit. I cut my own hair. My hairdresser died when I was eleven. He was a really nice man and I didn't have anyone else, so I started cutting my own. I know it sounds silly, but I really don't like people fussing, frankly. It's only hair. I've got a really comfortable pair of cowboy boots and I wear blue jeans and a white shirt every day, including today. When I was working in England I wore a black shirt but now I'm in America, I wear a white one. I've got 10 white shirts and three pairs of jeans so that when I get up in the morning, I don't have to think about what I am going to put on. I can be dressed and out the door in ten minutes. It's a silly thing but it's like I'm getting ready for work and putting on my uniform. I've been fired off a movie a couple of times and that's pretty horrendous. When something like that happens, you've just got to look at it and realise it's not necessarily about you. I haven't got a particularly thick skin, but it is important to be able to put things aside. Some films were very hard and at times you kind of struggle and you are in conflict with other people to get the job done. But overall, I wouldn't have done anything else. I loved those experiences if only because at the end you actually feel satisfied that you've managed to create something. I don't know what's next. I'm hoping to get back with Joel and Ethan and do something with them, really. I love my life and my career so far and I think I've got plenty more to do.